Naba Nandoo is a family hostel installed in an old house totally remodeled only 8 blocks from the Zocalo. It is an ideal place for travelers looking for security, tranquility and comfort. All our rooms are for single use or couples (some have private bathroom and shower). We have a patio and a beautiful fountain where the water circulates, TV room, reading tables, and an outdoor terrace to contemplate the view of the city in the mornings or at night. Standard breakfast is included in the Standard reservation. In the non-refundable reservation breakfast is not included. Free internet access in the entire building. 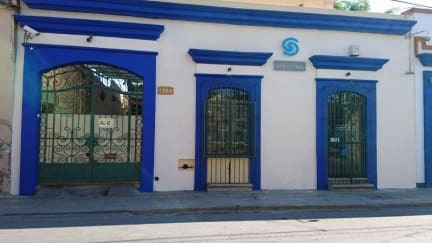 Hostal Naba Nandoo is located in one of the most important avenues in downtown Oaxaca; The Morelos avenue crosses the city from east to west. Parallel to Morelos is Independencia Avenue that crosses the city from West to East. 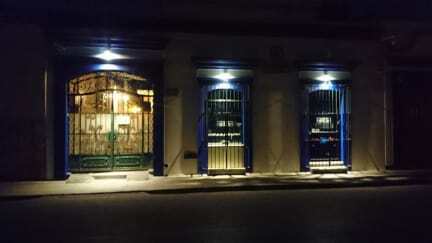 Naba Nandoo is located just two blocks from the Merced market, between the free street and the street of Los Mártires de Tacubaya. The first class bus terminal is 10 blocks away. It is a building with a yellow and blue colonial facade. You can reach the city center by walking 8 blocks. We have 8 rooms with double bed. A room with two double beds, a room with two single beds and two rooms with a single bed. All rooms have decorative lamp, clothes locker and clothes rack for hanging clothes or personal accessories. Hostal Mixteco Nava Nandoo Policies and Conditions. Check in from 14.00 to 20:00 . After the departure of the room you can stay in the hostel until 20:00 paying a fee of $ 40.00 per person. the non-refundable rate does not include free breakfast. The reception desk is open from 8:00 am to 21.00 daily. There is not 24-hour reception. There isn't an age restrictions. Although, the property is not suitable for children.